It is a fact these days that camera manufacturers are obsessed with zooms. So I am delighted to hear Zeiss has announced it is releasing prime lenses in Canon EF mount. The advantages of primes are numerous, but mainly they are smaller and faster than a zoom that covers the same focal length, and more resistant to flare. It also used to be the case that they were sharper than zooms, but these days I think high-end professional zooms are just as good. I started out with primes and still have a soft spot for them now. When I first started to take photography seriously I spent 6 months travelling around South America with nothing but a Nikon FM3a, 24mm, 45mm and 105mm lenses and 150 rolls of film. The whole package was so small and light that I took it everywhere with me. The amount of gear I would take on a similar trip today frightens me. Looking to recreate that "fast and light" feel today there are not so many choices for a Canon shooter. I'd love a nice 35mm f/2 as a walkaround lens, but the Canon version is one of the original late 80s designs with a buzzing micro motor and plasticy feel. 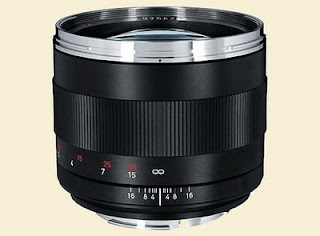 Sure you can get the f/1.4L version, but it is enormous and costs £900. The same with the 24mm, and the 50mm.